Mrs. Yollis' Classroom Blog: Mystery Skype With Long Island, New York! 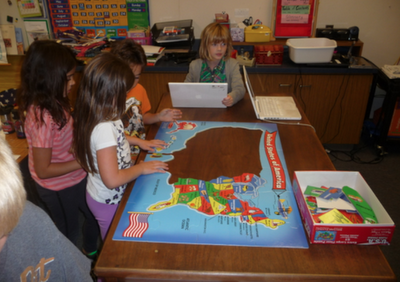 Mystery Skype With Long Island, New York! 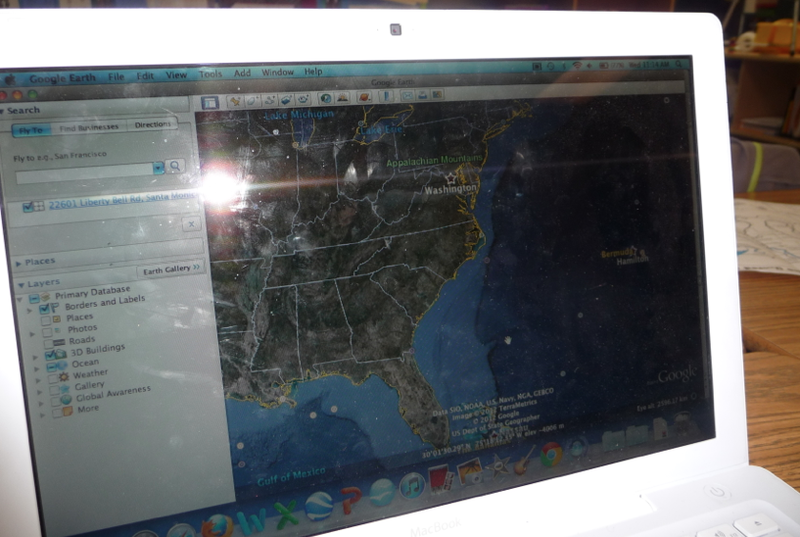 On Wednesday, Mrs. Yollis' class enjoyed a wonderful Mystery Skype call with Mrs. Parisi's 5th grade class in New York. The greeters opened up the mystery call with a warm welcome! Even Beverly eagerly awaited the grand geographic game. She grabbed Sean's compass rose so she would know which way was north, south, east, or west! Good thinking, Bev! Yes or No questions were asked and answered by three students who were the Inquirers. Where is the mystery class located? 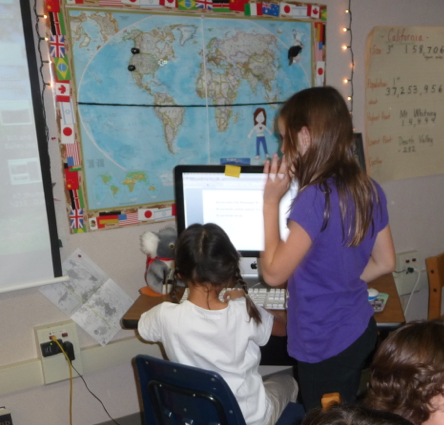 Abbey and Heather applied their typing skills as Clue Keepers. Clue Keepers type the clues so the class can see what has been asked and answered. The typist started with the date! 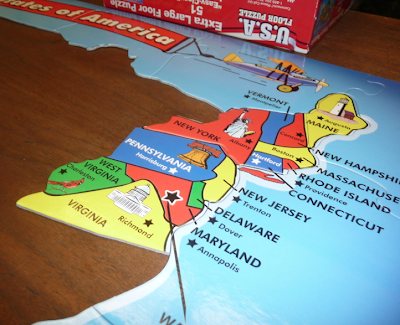 Notice (below) that the states WEST of the Mississippi River have been removed. That is because the INQUIRERS asked if the mystery class was west of the Mississippi River and the answer was NO. A Mystery Skype is a great way to learn about geography and practice logical reasoning! 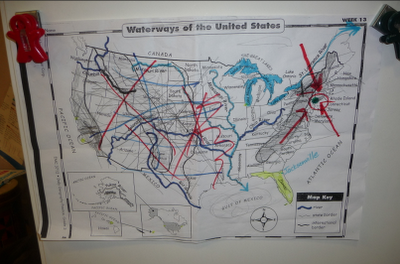 Other students used the big blue atlas. As states were eliminated, a dot was placed to show they were out. Google Mappers used Google Earth to locate the mystery state. They listened for clues and then zoomed in on the location. 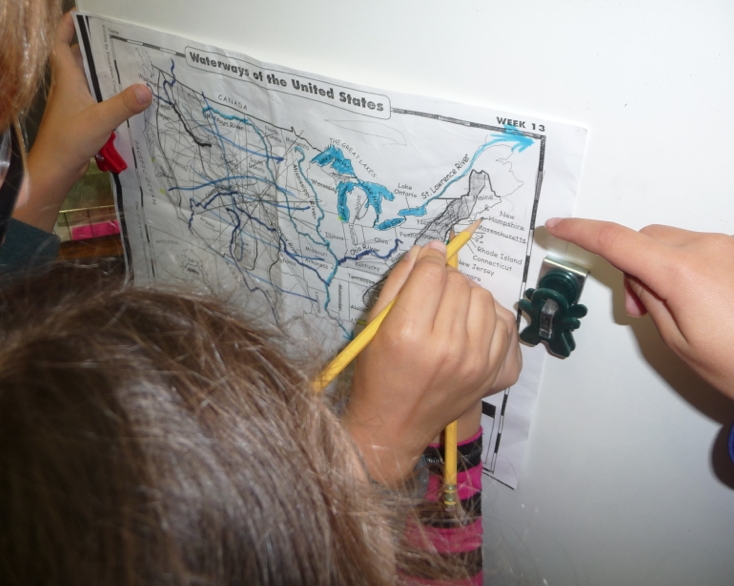 The students learned that the mystery state bordered the Atlantic Ocean. Clue Keepers kept track of the clues. This station was located right next to the Inquirers who were asking the yes and no question. 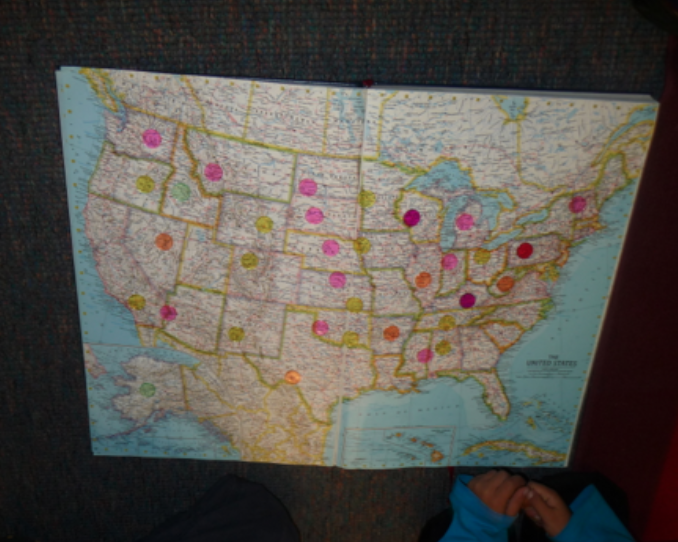 Through logical reasoning, the class narrowed down the search. 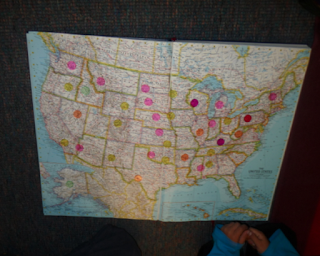 After a few questions, the class determined that the mystery state was in the northeast section of the United States! Both groups of students asked thoughtful questions. Are you west of the Mississippi River? Do you border a foreign country? 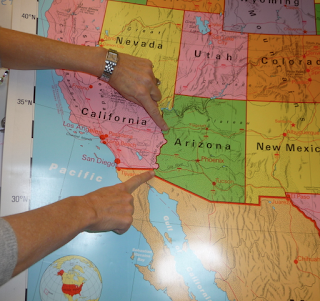 Do you border Arizona? Although the New Yorkers guessed our location first, the Inquirers kept asking and the Clue Keepers kept crossing off states. Finally were able to ask, "Are you from New York?" The New Yorkers had a bigger play area than us. The also had more sporting fields than we do. They had two baseball diamonds! The New Yorkers live on an island, and we live on the mainland. The New Yorkers shared a Hurricane Sandy wiki that they'd put together. Here is a link to their first hand experiences. We'll be exploring it as a class next week. 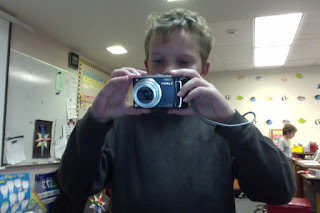 Thanks, Sean, for being our class photographer! 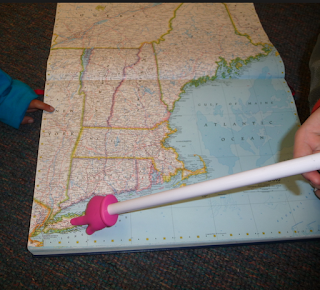 What does Long Island Sound look like? Does it have waves or is it more flat like a lake? What grades do you have at your school? On average, how many days did people go without power during Hurricane Sandy? 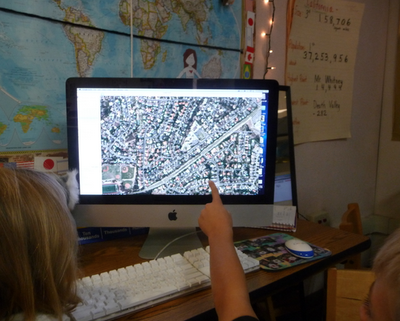 What do you think of the Mystery Skype idea? What was your job and what did you like about it? 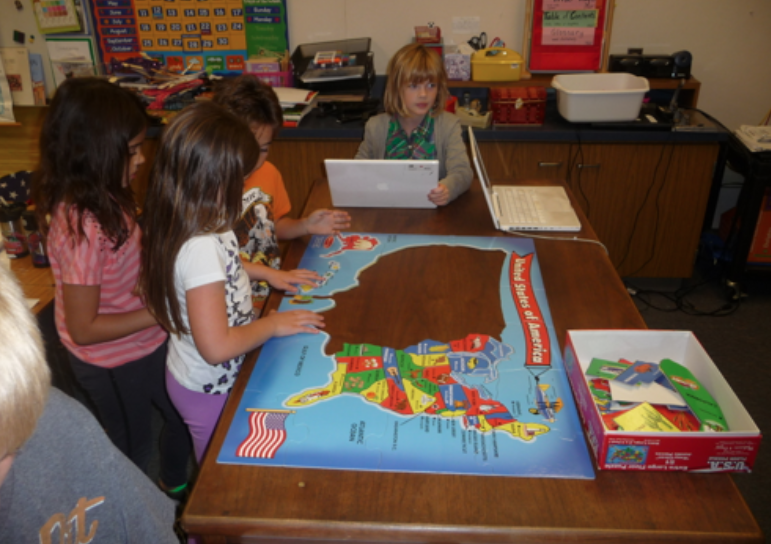 I love this Mystery Skype! We have a special place in our hearts for Long Island, New York. Bennett's dad and I went to high school there and as a matter of fact, Bennett used to live there. I used to teach 4th grade at a school on Long Island, so we know a lot about living there. Our backyard was the Long Island Sound. On normal days, the water was pretty calm, but on stormy days the water gets extremely rough. Even on calm days, there were waves. Since the Sound is connected to the Atlantic Ocean, it looks just the same as the Pacific that we're used to, and not like a lake at all. Hurricane Sandy was a good example of the power of the ocean. The house that Tucker Sr. grew up in was washed away by the strength of the Sound. He was sad, but thankful that our family and friends back home were safe. One interesting fact about Long Island is that the North Shore of Long Island has rocky beaches, while the South Shore of Long Island is flat and sandy. Long Island was formed this way as the glaciers retreated the lightest materials, the fine sand, were dropped first, at what is now the South Shore. The heavier materials, the rocks and boulders, were dropped later, at what is now the North Shore. If you were visiting Long Island and you wanted to go swimming at the beach, your feet would thank you if you traveled south. I love hearing about your investigations through Mystery Skype! This one could be my favorite since it's the place we still consider "home". Thanks for traveling across the country and sharing this with us. I can't wait to see where your next adventure takes you! Have any of you ever visited New York ? Have you heard a New York accent? What a wonderful day of learning with your mystery skype. 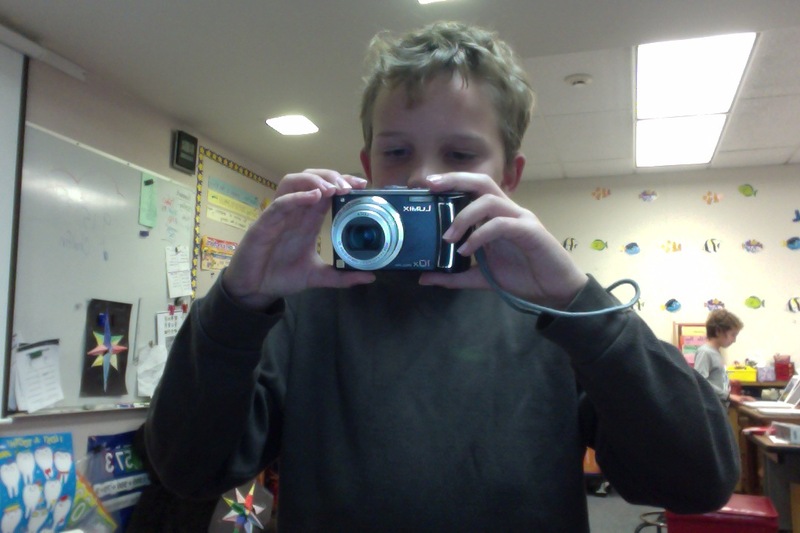 I really loved how you all worked together and collect your information. I also love the fact you have mystery skype for it really does get the brain thinking and putting clues and facts together to work out who your mystery skpye could be. 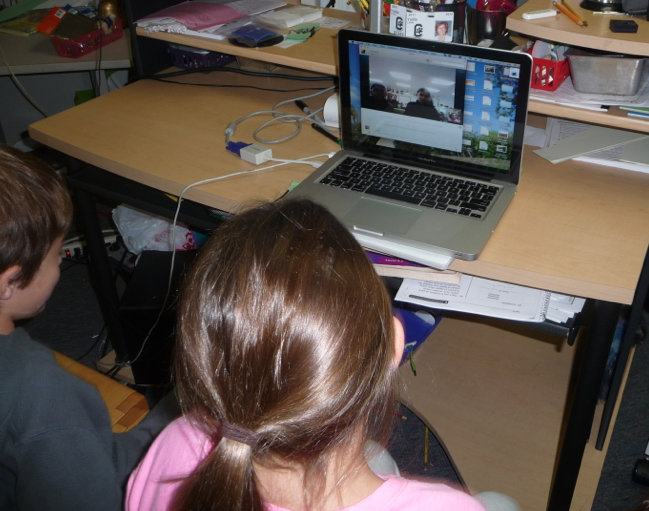 It was exciting doing the mystery skype call! In the beginning, I thought the mystery class would be in Indiana. But when I found out that they lived in New York, I was suprised. Hope the class and the mystery class had a good time. 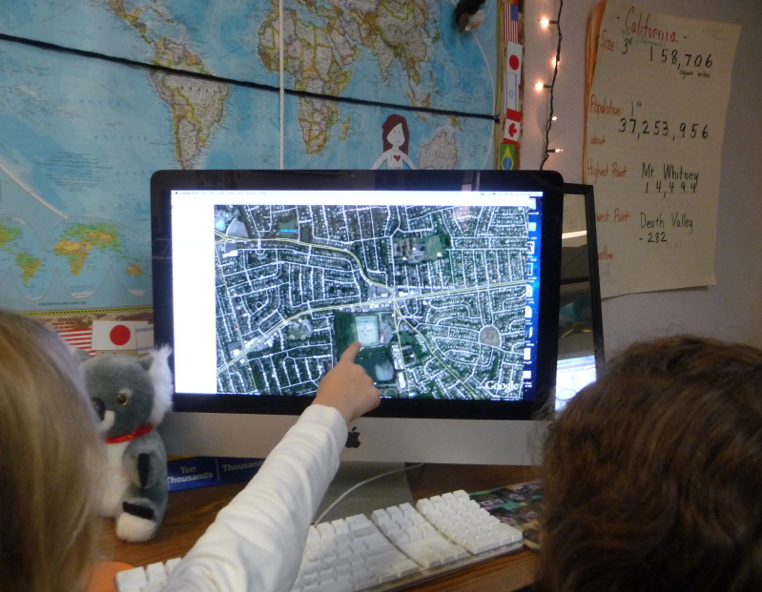 When is the next Mystery Skype call? 1. The Long Island Sound is usually pretty calm. You can stand on the beach and look across the water and see Connecticut, which is a whole different state. The other side of Long Island is the Atlantic Ocean. You cannot see Europe by looking across the ocean. It is too far away. 2. We have almost 600 students in our school. We have k-5 students. Our district is very small. We only have 3 elementary schools, one middle school, and one high school. What is your district like? 3. Most of us lost power for about 10 days. That seems to be the average. Some for only 1 day, some for 15, but most for 10 days. What would you do without electricity for 10 days? 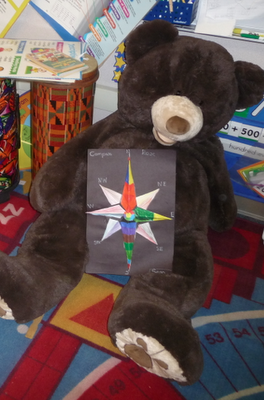 We just posted Glogs about characters in books. Have you learned about Glogster? If not, maybe you can ask Mrs. Yollis to show you how to use it. 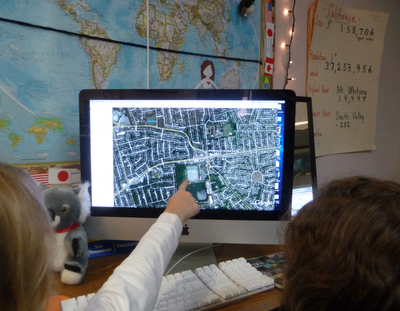 One of the best things about taking part in a Mystery Skype is, you start with a mystery. The minds start racing as you try to narrow down the location all the time knowing the class in the other location is doing the same. Finally, one class makes a breakthrough while the other continues their questioning. It was exciting to video chatting with you. Bryce thought you guys we're in Mississippi, and Chloe thought you we're in Nevada. Former Blogger Wins Local Writing Contest! Mr. JR.'s Science Stop: Matter Matters!